Gym memberships are way too expensive for some. Some prices are so ridiculous, it might be why others choose to continue their sedentary lifestyle than exercise. But would you believe that building a basic home gym can give you a workout that is just as good–if not better–as your local gym was? In fact, building one can only cost you just a couple of months’ worth of gym memberships. You wanna know the best part? It’s for a lifetime. You barely need to renew anything at all! When building a cheap home gym, the first thing you should consider is your main fitness goal, so that you can secure equipment accordingly and achieve them efficiently. You don’t need a huge dumbbell set if you don’t plan on lifting more than 10 pounds! If cardiovascular training is your main focus, you can replace the expensive cardio machines with cheaper, yet just as effective low-tech options. There’s no home gym that would be complete without a simple exercise mat. This is essential for floor exercises which will target your core, legs and upper body. Though you can find very cheap exercise mats, this is an item that you will want to spend a little extra on, since you’ll be using it frequently. Also known as a stability-ball, physio-ball, or core-ball, this item is important to incorporate even more core toning from many traditional exercises, as it allows you to perform more advanced and functional core exercises. This is probably the cheapest cardio equipment but definitely very important, as it burns more calories per minute than a treadmill. 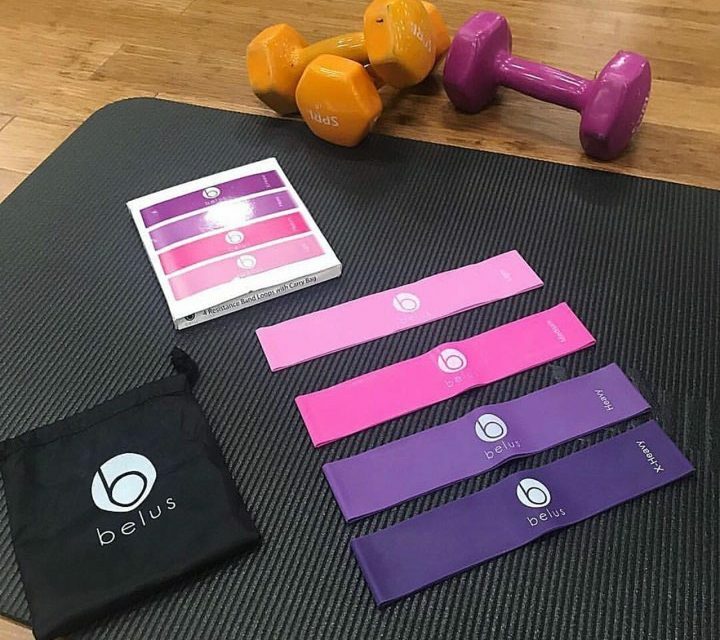 You can get a full set of exercise bands (also called resistance bands) for about the same price as a single pair of dumbbells. They are versatile, easily stored, and really portable. This can cut-cost on other training equipment which are used for toning and strength exercises. Read on why resistance bands are a must for working out. PreviousToneit UP: Tori’s Love Your Body Message…This Video Will Brighten Your Day! NextAre Resistance Bands Your Best Choice?